Until recently I was terrified of making bread. It seemed so hard and labor intensive with a high probability of messing something up. Especially, since I didn't have a bread machine or a KitchenAid Mixer. I mean, how can one make bread without either of those? I did, however conquer my fear and made Hand-Kneaded French Baguettes which has since given me the courage to try other types of bread! 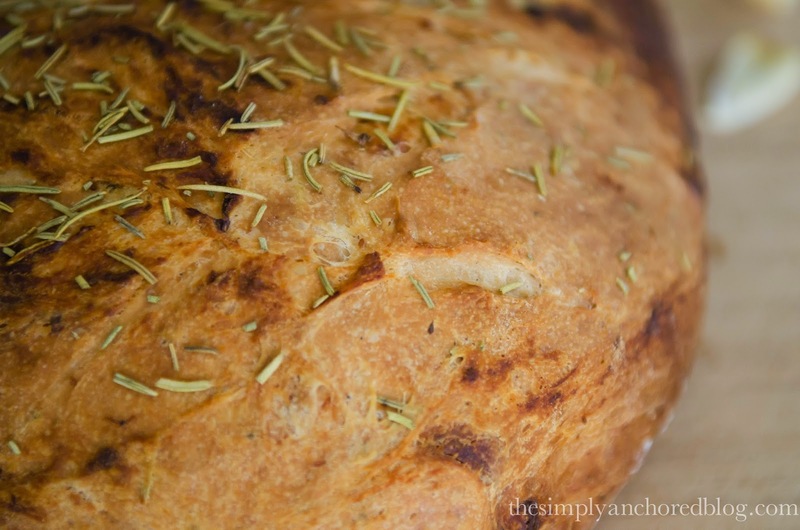 Yesterday I had a hankering for some rosemary garlic bread. A few months ago, if I wanted some, I would have jumped in the car and headed to the store. But now, I just take out my 25 lbs bag of flour and get to work! 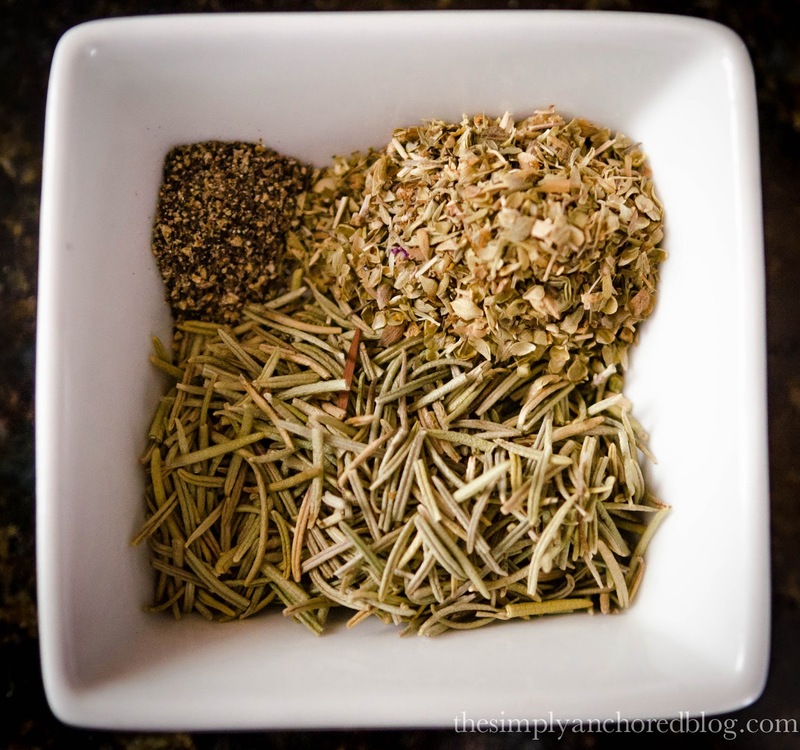 This recipe takes some time, but trust me, it's well worth it! And most of "prep time" is just waiting for it to rise. 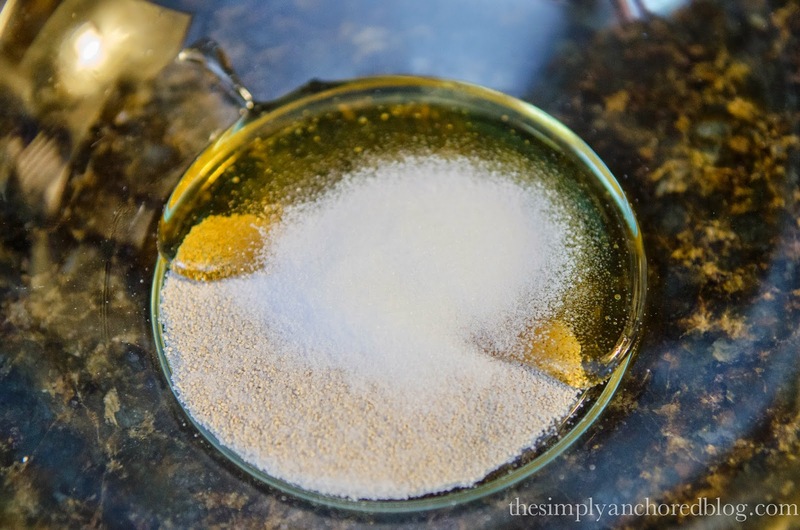 First you want to activate the yeast in a bowl with a cup of warm water, 2 tbs honey, and 2 tsp salt. After about 10 minutes it will be foamy and you'll want to add the flour. After you have mixed the flour with the yeast mixture you're going to put some elbow grease into it and knead it for about 10 minutes. I really enjoy this. It's rather therapeutic to just knead the bread. 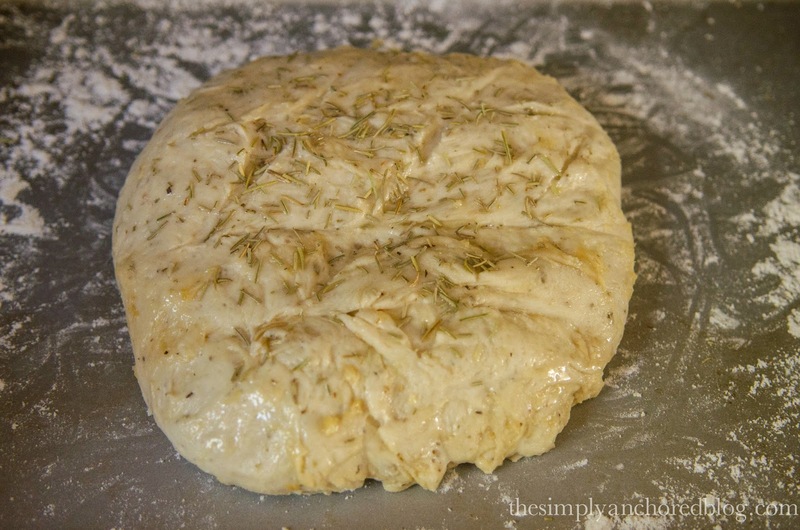 After about 7 minutes or so add in a mixture of rosemary, oregano, and ground black pepper and knead some more. 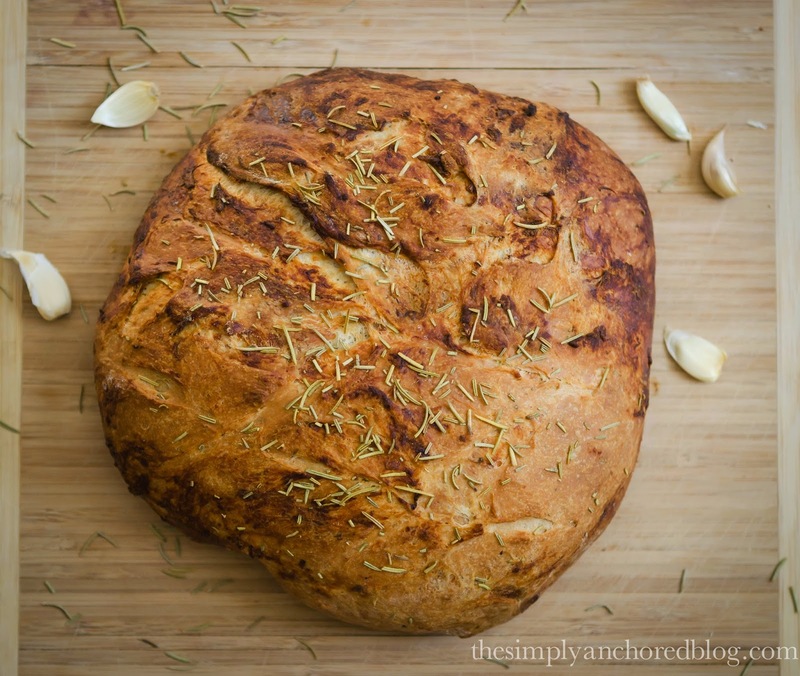 The combination of these spices really enhance the flavor of this bread! And it let's out such a delicious aroma when baking. After the bread has been kneaded for 10 minutes, it will be tight and hold it's shape. 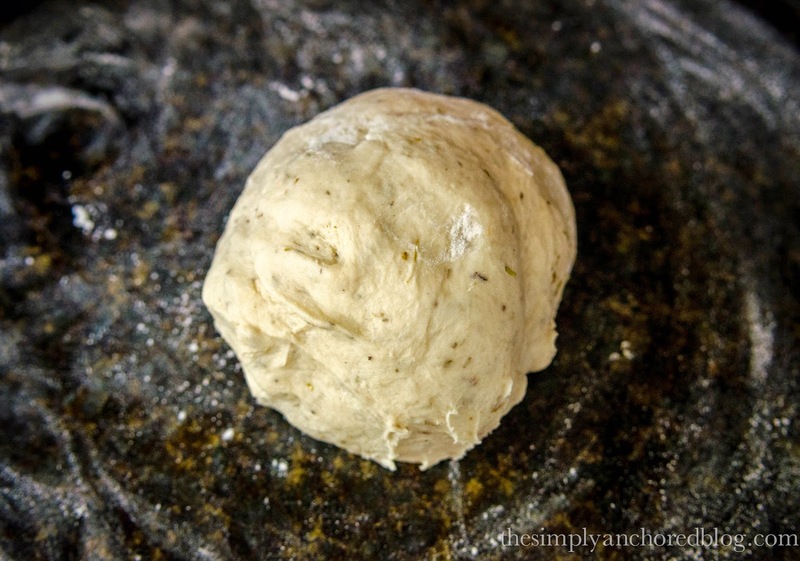 If you press your knuckle into the dough it should bounce right back. 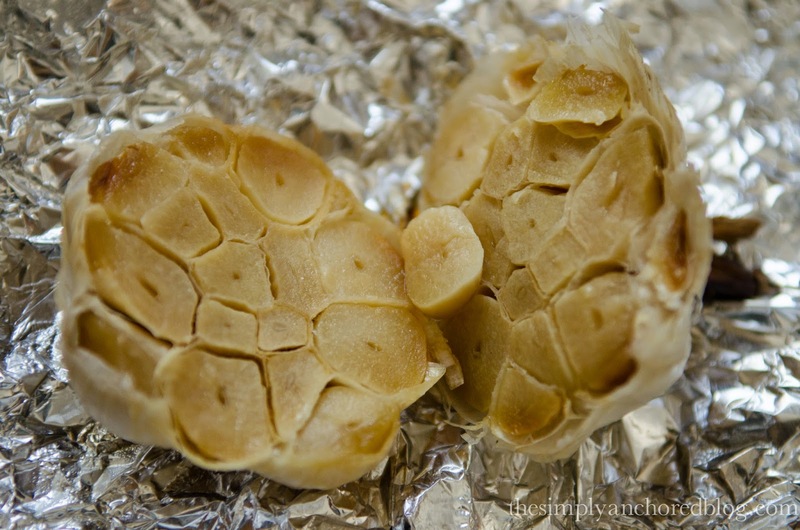 At this point you will want to take a whole head of roasted garlic! Yes, a whole head. It may seem like a lot, but who doesn't love an abundant amount of garlic! When you start to knead it in, it will squish between your fingers. It will make the dough super sticky and slimy. You will think "this isn't right, it's not supposed to be like this". Trust me, it is! 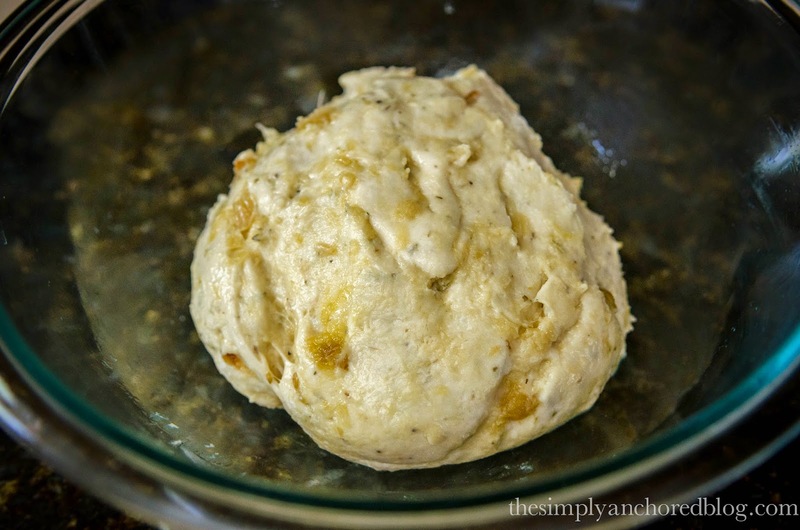 Knead for a minutes or so and place in an oiled bowl for an hour until it doubles in size. Once it's doubled in size, take it out and place on a floured baking pan and punch down the middle to turn it into a loaf. Flip the bowl over the loaf and let it double for an hour again. Then score the top, brush with olive oil, sprinkle rosemary and salt on it and pop it into the oven at 375º for 25 minutes. Then crank it up to 425º until the top is golden brown. 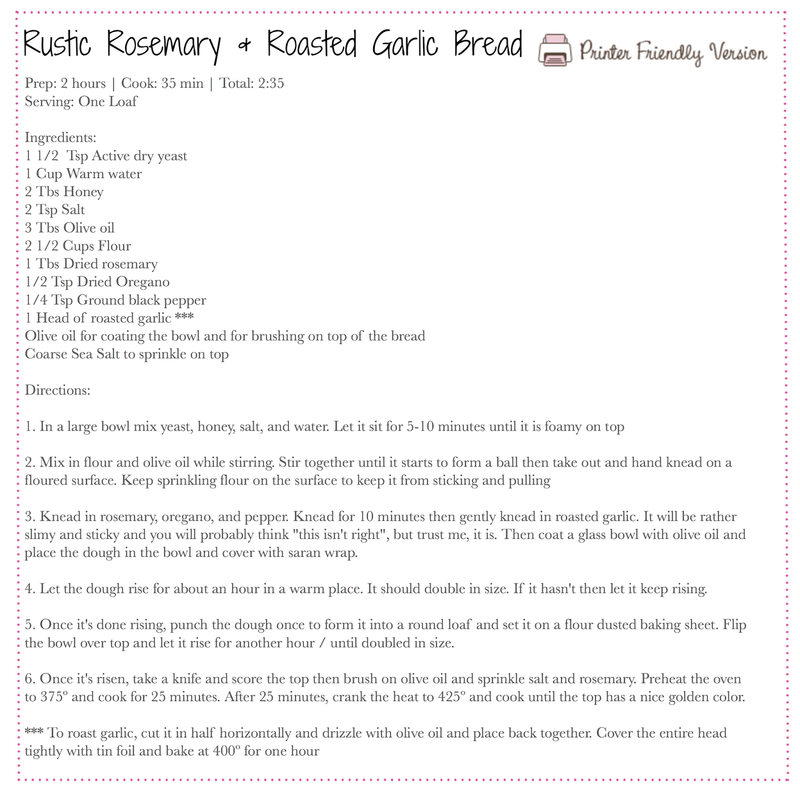 When it comes out it will be nice and crusty and the aroma of garlic and rosemary will make you salivate! Serve immediately or set aside until dinner is ready. 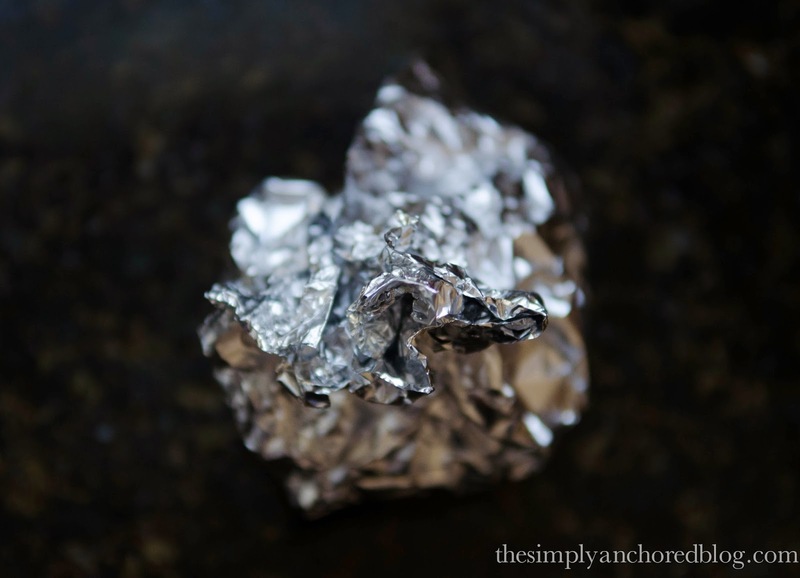 You can pop it in the toaster oven or regular oven at 250º for 5-10 minutes to crisp it back up to serve! 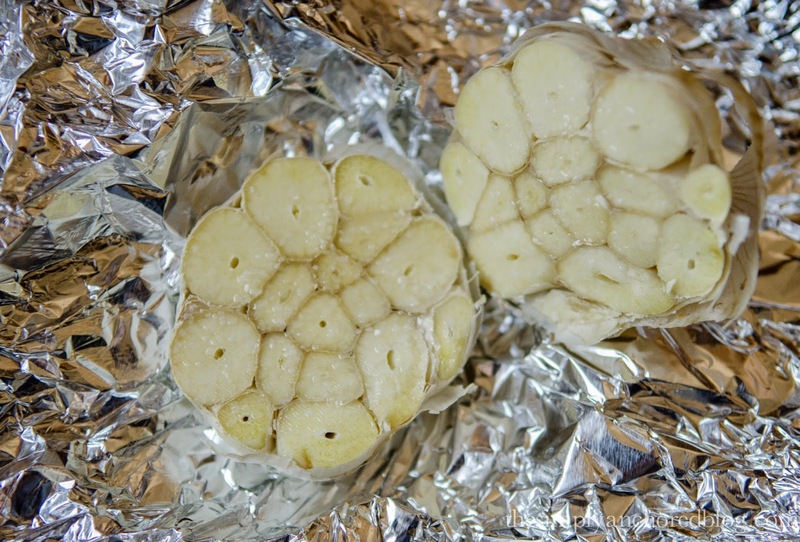 Cut a head of garlic in half horizontally. Drizzle both sides with olive oil and sprinkle with salt. Place in the oven for 1 hour at 400º and voila! 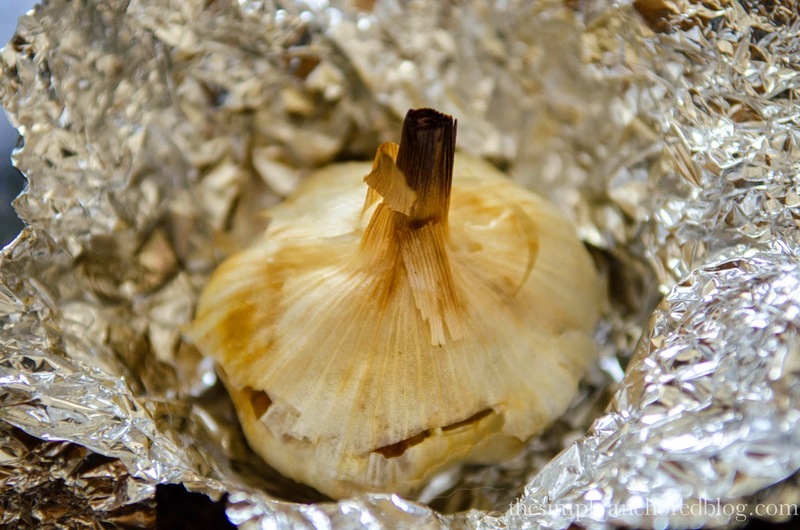 You've got roasted garlic! Thanks!! It's such a yummy combination!! I wish you could see my face while I was looking at the pictures! LOL I am so pinning this!